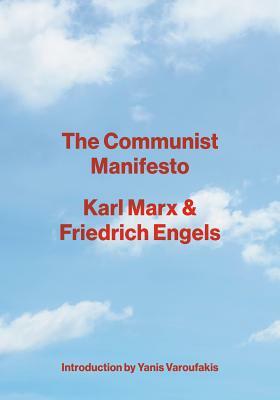 The Communist Manifesto was first published in London in 1848 by two young men in their twenties, Karl Marx and Friedrich Engels, and its impact reverberated across the globe and through the next century. Foreshadowing globalization 150 years before it happened, the Manifesto brims with prescient insights into the crisis facing capitalism today. It is an essential read for anyone seeking to understand the modern political landscape. This edition includes a new introduction by the bestselling author of And the Weak Suffer What They Must? and Talking to My Daughter About the Economy, Yanis Varoufakis. Karl Marx (1818-1883) was a German philosopher, economist, historian, political theorist and journalist. In Paris he met his lifelong friend and collaborator, Friedrich Engels (1820-1895), the son of a Manchester factory owner and author of groundbreaking essays on the social conditions of the working class in Britain. Yanis Varoufakis is an economist and academic, a bestselling author, and the former finance minister of Greece. He is a co-founder of the Democracy in Europe Movement 2025. His books include And the Weak Suffer What They Must? and Talking to My Daughter About the Economy.